Personal Information is collected to assist us in making your reservation and providing the services you request at Masseria Le Mandorle, to ensure we meet your needs while you are staying with us and/or to allow us to contact you in relation to matters that arise from your stay with us. By keeping certain stay related Personal Information on file, such as information regarding guest history and itemised spending, our guests have the ability to confirm prior transactions and reconcile statements or invoices. If you wish, you may also submit your e-mail address in order to be placed on a subscription list or to receive other information about our products and services. You will be placed on a subscription list only when you indicate your desire to be included. In deciding whether or not to join such lists, please note that they are only used for internal purposes and we do not sell or rent our subscription lists to anyone. In the event you choose to join one of our subscription lists, you may ask to be removed from the list at any time. You will always have the ability to accept or decline any form of communication from Masseria Le Mandorle. 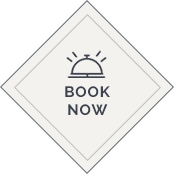 Masseria Le Mandorle maintains a database of Guest information, which is used for marketing, promotion and research purposes. Guests will only receive such information only if they have provided permission on their Hotel registration form, on our vweb site, or in some other form. Any information sent provides a clear notice of how to discontinue receiving promotional materials. We will only share Personal Information about you outside Masseria Le Mandorle without your consent, where: (a) it is required or authorised by law (for example, in response to a legal subpoena); (b) it is required to provide you with services you have requested in which case you will be considered to have implied your consent (e.g. car rental); (c) if your stay has been paid for by a third party we will provide billing information to the paying party; or (d) if you have failed to pay amounts owed to a property. If Masseria Le Mandorle suspects any unlawful activity is taking place, it may investigate and/or report its findings or suspicions to the police or other relevant law enforcement agency. Masseria Le Mandorle reserves the right to decline access to your Personal Information under certain circumstances. If your Personal Information will not be disclosed, you will be provided with the reasons for this non-disclosure.